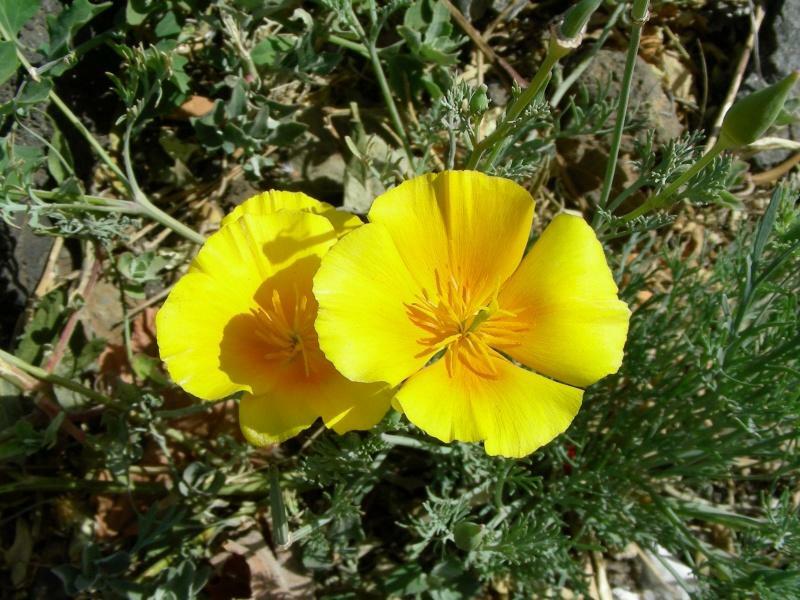 California-poppy is native to California, the Pacific northwest, Nevada, and New Mexico and introduced elsewhere in the lower 48 states. 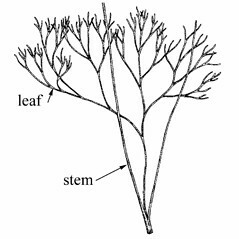 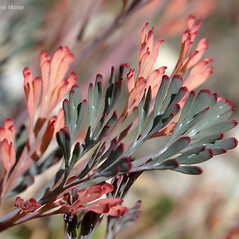 It is a popular garden plant, and persists in waste areas, gardens and dumps in Connecticut, Massachusetts, and New Hampshire. 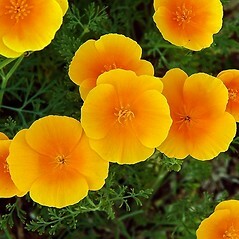 Its large, bright-orange flowers open only on sunny days, when they are pollinated by a variety of bees. 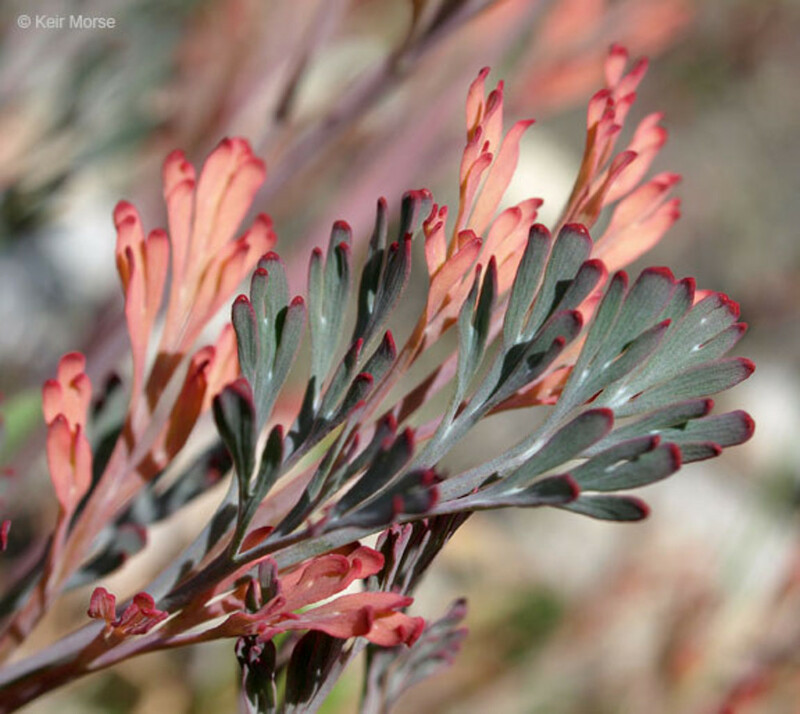 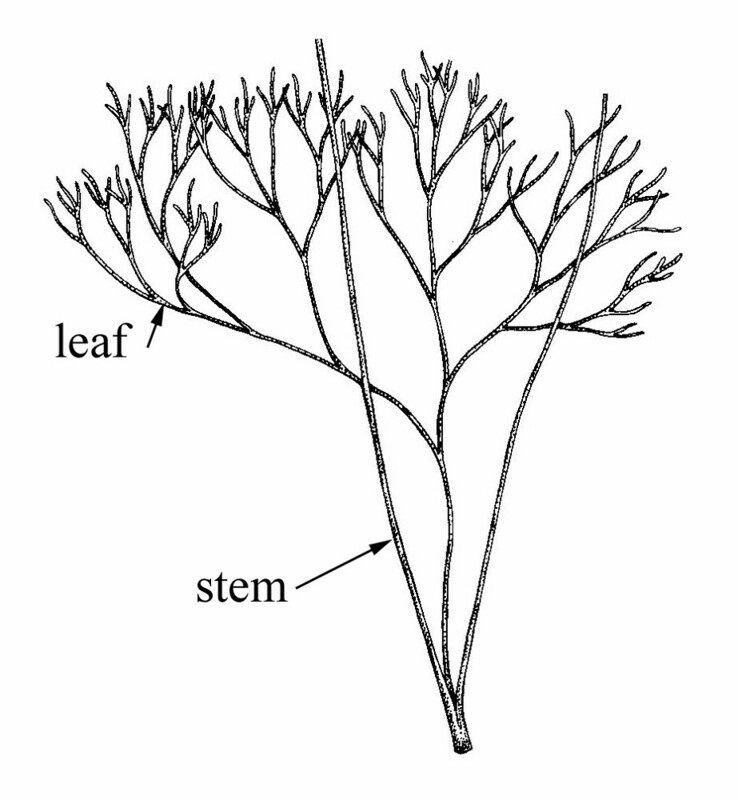 Its feathery leaves clasp the stem. 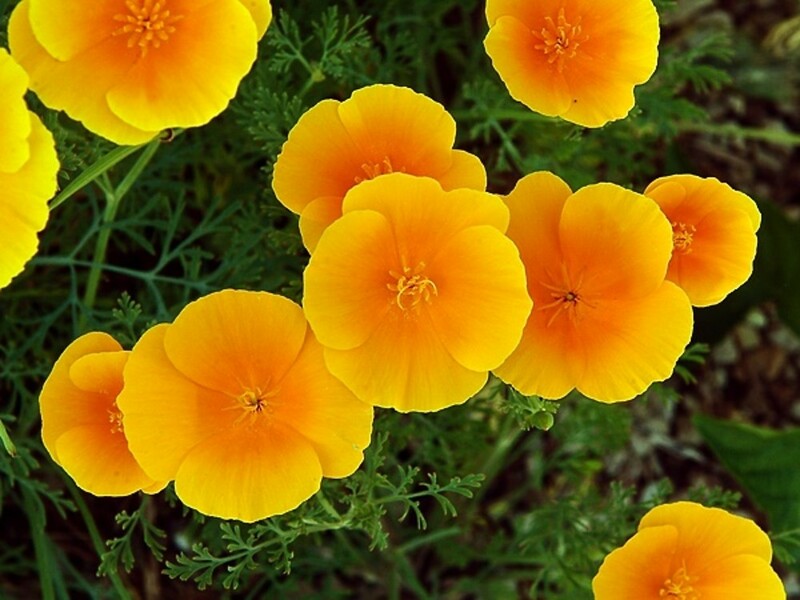 Parts of the poppy are poisonous. 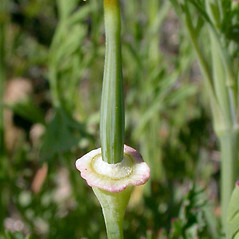 basal leaves densely pubescent and capsules mostly 10-15 cm long (vs. E. californica, with basal leaves glabrous and capsules 3-9 cm long). 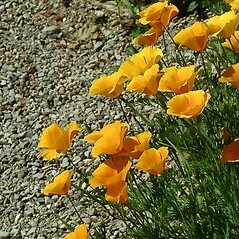 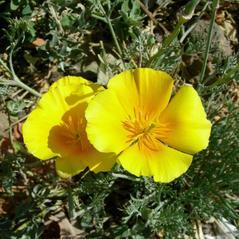 California-poppy. 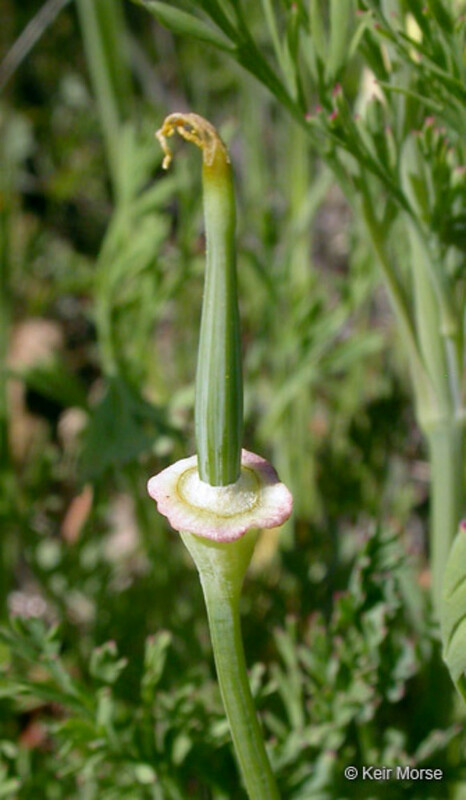 Eschscholzia procera Greene • CT, MA, NH. 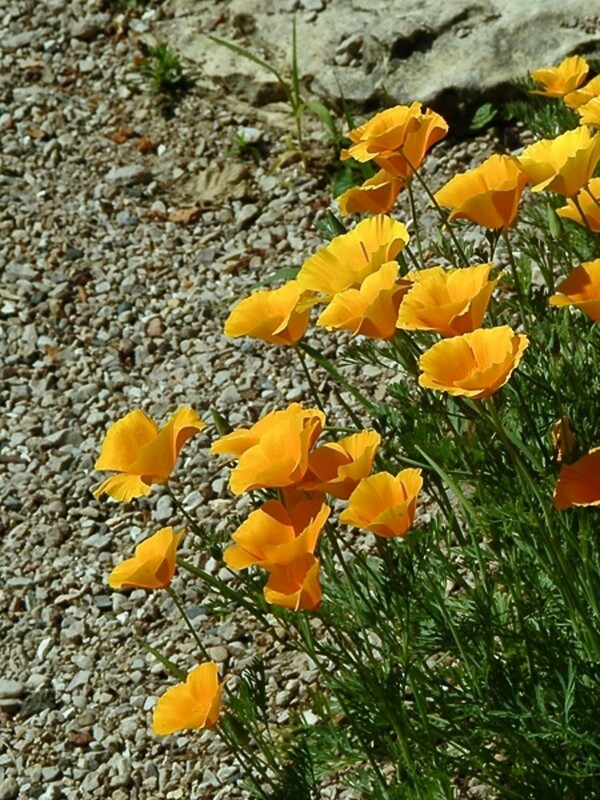 Waste areas, gardens, dumps.